Canada’s Mingan Archipelago National Park is one of the country’s best-known secrets since many people, including Canadians, have never heard of it. However, it’s among the country’s best parks and is located in the province of Quebec. It was established back in 1984 and is close to 25,000 acres in total size. The park has a large number of erosion monoliths and it’s made up of approximately 1,000 islets and islands that stretch out over 90 miles. The parkland is based on the islands, but the area has been heavily influenced by the sea when it comes to the climate, plants, and wildlife. The local rock formations are believed to be about 500 million years old when the sea covered the St. Lawrence lowlands area. Over the years, the bottom of the sea gradually turned into rock. When the earth’s continents moved, the sea eventually receded leaving the large plateau of rock exposed. The rock was eventually covered in water again years later, but some of the higher points are now the islands that make up the park. The seas also carved out a wide variety of monoliths, grottoes, arches, and cliffs. During this time, animal and plant life began to establish itself. These days you’ll find many types of rare plant species in the park as well as several types of colorful marine birds. These include razorbills, terns, kittiwakes, and puffins. They get together on specific islands and create nesting colonies. The birds feel safe here and there’s plenty of food to be found in the sea. 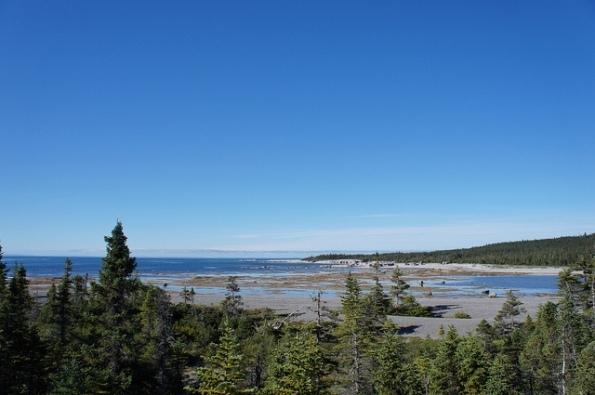 The Mingan Archipelago National Park lies along the Gulf of St. Lawrence’s north shore between the communities of Aguanish and Longue-Pointe-de-Mingan. The most popular time to visit is between June and September. You can reach the park by water only, so if you don’t have a boat, canoe, or kayak you’ll have to take one of the registered boats. Most of the boat companies run from the middle of June up until September and offer tours from Havre-St-Pierre and Longue-Pointe-de-Mingan. These tours last up to five hours and they visit a few different islands. If you’re lucky, you might be able to get a good view of seals or whales as they make their way through the water. When you’re exploring the islands, you might spot some ancient fossils that have been embedded in rock. If you’d like to take a few days to explore as much as possible, you can also campout on the islands. There are several taxi boats that can pick you up if you don’t want to camp. If you’re into hiking you’ll come across numerous trails on different islands that vary in difficulty and length. Most of the trails are alongside the shoreline or in the interior of the islands. The islands offer some wonderful flora and fauna and are ideal to visit at your own pace. Kayakers have a field day here as they can paddle from island to island and stay as long as they like. Mingan Archipelago National Park offers an unforgettable experience no matter which way you choose to explore it, be it a three-hour tour or a weeklong camping and canoeing trip. A good place to start is Havre-St-Pierre or Longue-Pointe-de-Mingan at one of the visitor centers. You’ll learn about the park via the exhibits that are on display. You can also get all of the necessary permits, maps, and information here.